In a world of chaos and disorder it’s good to know there’s somewhere we can go where sensible patterns are the order the day; that place is Symmetry, an online slot from Realistic Games which looks a little basic at first glance but hides various unusual features under the covers – read all about it here. 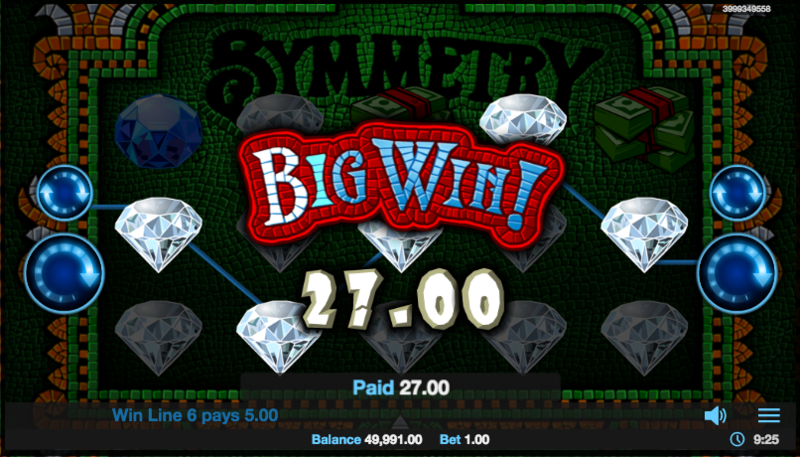 Symmetry is a five reel slot with three rows and ten fixed paylines; the attractive backdrop to the reels is a mosaic formed of green and brown tiles with the game’s title visible at the top of the screen. There are some familiar symbols on display here and they include the Jackpot!, a large pink seven, gold bars, a stack of cash and four jewels of varying colours and values. 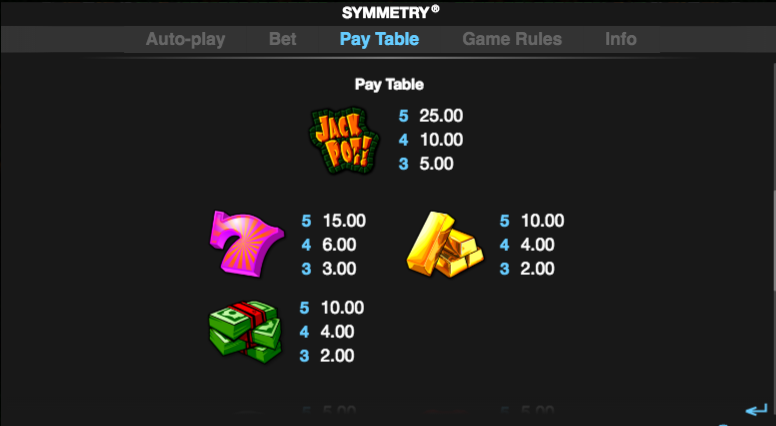 Winning combinations must be formed on paylines but do not have to start from the left hand side. There are no wild or bonus symbols in this game. This is triggered when each reel has only one type of symbol in all positions; you will now be asked to press ‘Start’ to halt the stopper on one of those reels. All other reels without that symbol will now respin and land with at least one of those symbols to potentially give you a big win. 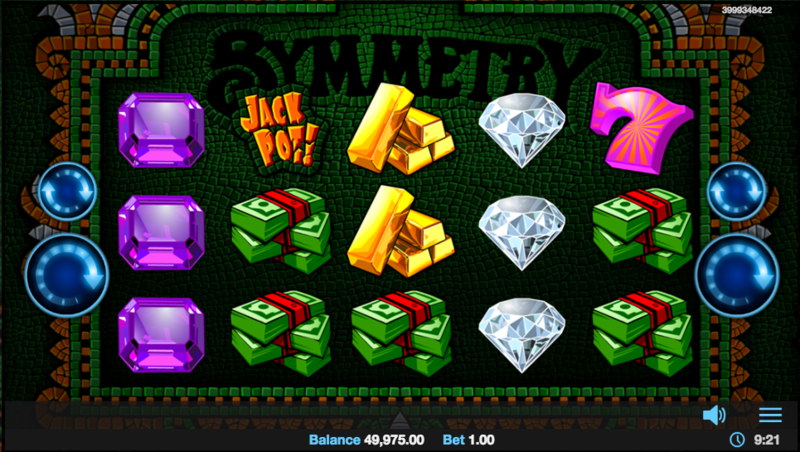 This is triggered in the same way as the Bonus Game but with a symmetrical pattern on the reels; halt the stopper in the same way as before to pick a reel and this time a full house of that symbol will be awarded for a really big win. This is a typical Realistic Games slot with some fast-moving action and high quality graphics but this time there’s some creative bonus features included as well; it’s good fun and comes with an RTP of 95.56%.